Paul Solotaroff and the Rolling Stone just released an article, “Animal Cruelty is the Price we Pay for Cheap Meat”, which unfortunately is laden with lies and misinformation. This article is not even close to what happens on hog farms. I was astonished there were no family farmers interviewed for this article. It’s astonishing to me because 96% of hog farms are family farms. But the article only refers to Big Meat, which I am assuming are non-family corporations. And I believe this was intentional because for this article to have its greatest impact, Rolling Stone needed to appeal to peoples’ emotions. Emotions where people think corporations don’t give a damn about animal cruelty. One of the most outlandish statements was “sows made sick from breathing in her own waste while fed food packed with growth-promoting drugs, and sometimes even garbage. (The word “garbage” isn’t proverbial: Mixed in with the grain can be an assortment of trash, including ground glass from light bulbs, used syringes and the crushed testicles of their young. Very little on a factory farm is ever discarded. )” Sows are not fed garbage. Common sense tells you sows that give birth to pigs would be harmfully affected if fed garbage, especially the garbage aforementioned. The truth is our pigs eat more nutritiously than my family. We use an animal nutritionist, who gives us a diet each animal needs. The pigs on our farm are fed nine different rations (our word for recipe) during their lifetime. 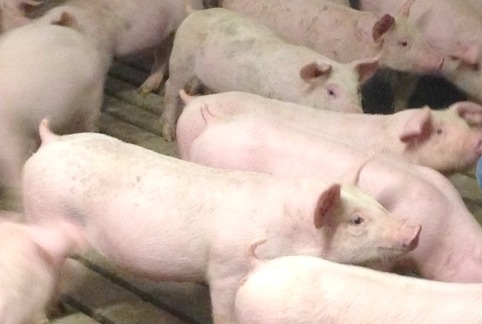 Each ration is based on specific pigs’ nutritional needs during different growth stages. Another statement – “Alas, cows and pigs aren’t built to live indoors; they get sick and depressed, go after one another and kill or eat their young in despair.” I can assure you, Mr. Solotaroff, that when our sows were housed outdoors they attacked each other and ate their young. Pigs have a social hierarchy where they establish a pecking order. This pecking order is part of their natural behaviors because they need to determine a “boss sow”. And, unfortunately, these behaviors can involve attacking each other. Sows have actually died on our farm because another sow killed it and this happened when they were living outside. Read “Why Use Individual Gestation Pens” for more information. Really? 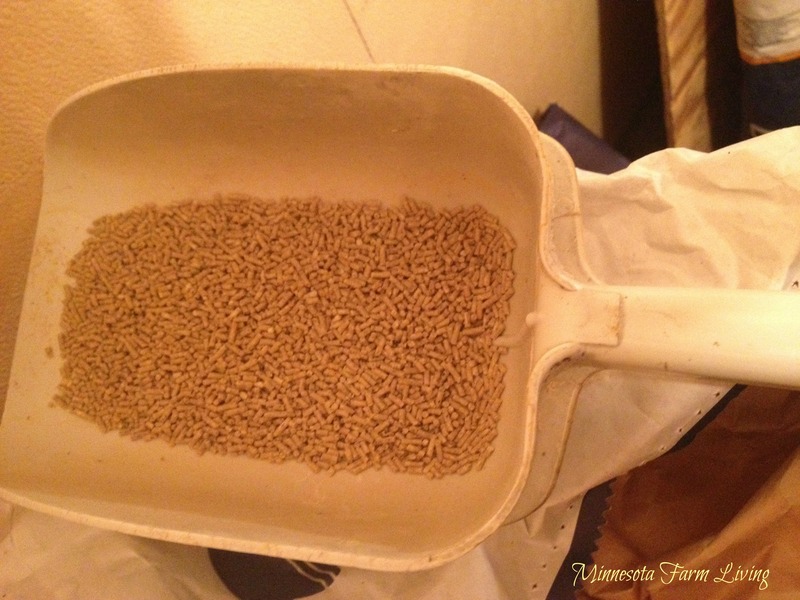 Dumped antibiotics into their feed? It is illegal to just arbitrarily dump antibiotics into feed. Antibiotics are given only under supervision by our veterinarian. A prescription is required for ALL antibiotic use by animals. All animals are subjected to a drug withdrawal period (amount of time after the last dosage) before any pig goes to market. In addition, antibiotics cost money. There is no advantage to giving them more antibiotics than they need. And animals are “sad so they wouldn’t fight back when led to slaughter?” This is simply a journalistic strategy to play on people’s emotions.On our farm, we see healthy animals who are very content, not fat and sad. Let it be known, as a hog farmer, I am opposed to any type of animal abuse. In fact, I am outraged. There are no excuses and it should be stopped immediately. But to report on blatant untruths and play on people’s emotions by misrepresenting farms is irresponsible and outrageous, Mr. Solotaroff. If you really want to be taken serious, Rolling Stone, you should have also reported the other side of agriculture instead of being a puppet for HSUS (Humane Society of the United States). HSUS is not your local humane society. They give less than 1% of their donations to local humane societies, even though the vast majority of their commercials play on people’s emotions by showing cats and dogs. So please donate your money to your local humane society. Animal Cruelty is NOT the price we pay for cheap meat. In fact, if we really did have animal cruelty, our meat would not be cheap at all because animals do not thrive if they are treated with cruelty. If stressed, sows would not be able to get pregnant or would abort their litters. Instead, the reality is we have healthy sows and piglets. Affordable meat is the result of farmers’ efficiencies, technologies and old fashioned hard work. If Mr. Solotaroff talked to a family farmer he would have known that. Here is another reaction to the article by The Dairy Mom – Is Farm Animal Cruelty Common?